University College Principal's residence and home of his sons (Lord)Richard and(Sir)David Attenborough,. They attended Wyggeston School. The 'New' Block. Science laboratories, gymnasia, art, woodwork, metalwork. I attended Wyggeston Boys' Grammar School from 1960-1967. When I first started in September 1960, the school was verymuch like it is on this photo. 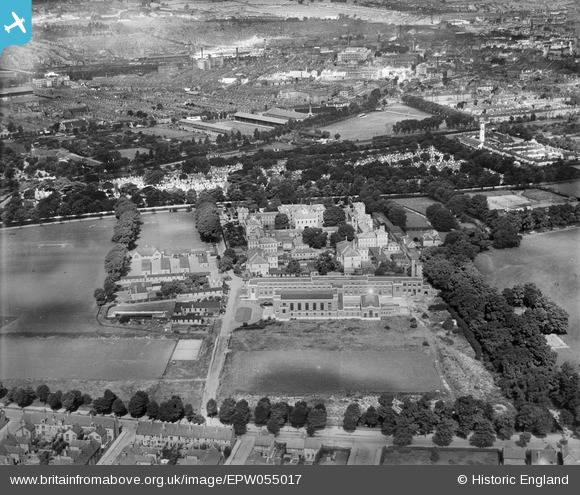 One can clearly see the Great Hall, the science classrooms and the dreadful huts and tuck shop plus the sports pavillion. Happy memories.